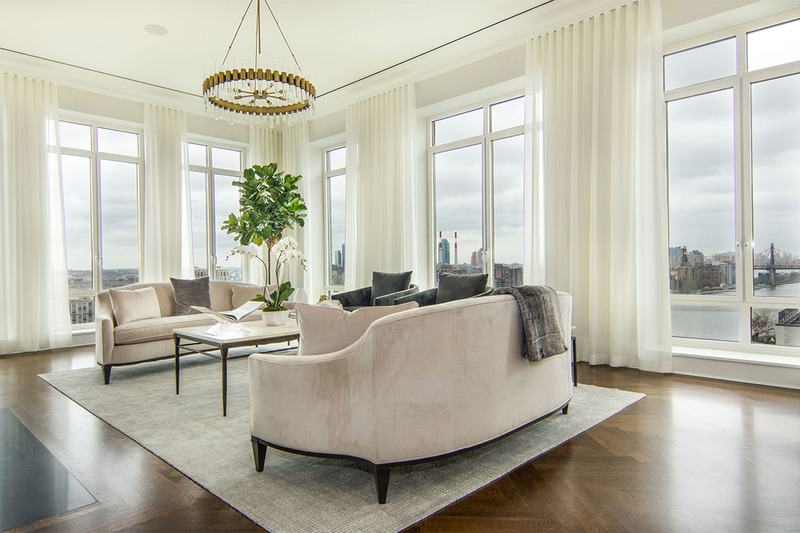 This light and wide plank flooring is featured in this luxury apartment in lower Manhattan at 443 Greenwich Street, NY, New York. 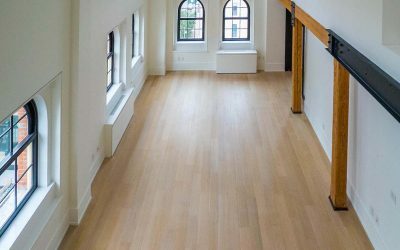 Wood Flooring has been proven time and again to be the top choice for designers and architect in and around New York City. 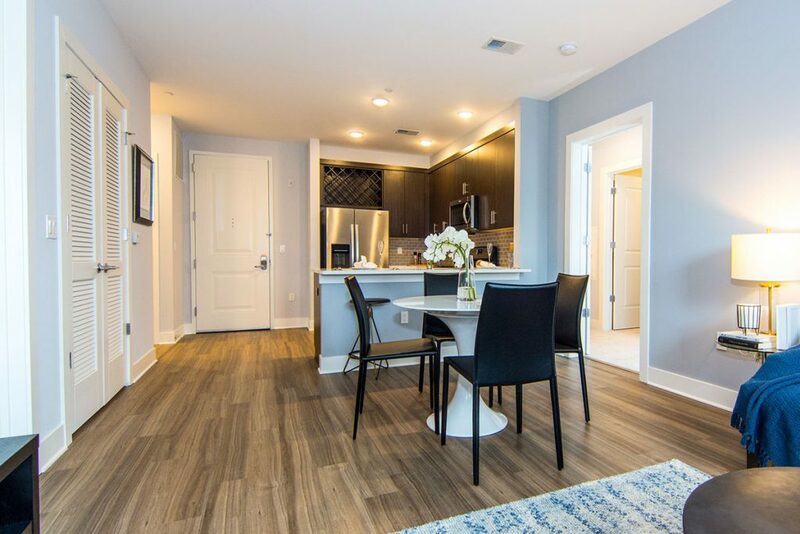 When it comes to luxury living, open-style floor plans and a wide width plank flooring is still the standard in luxury residential developments. 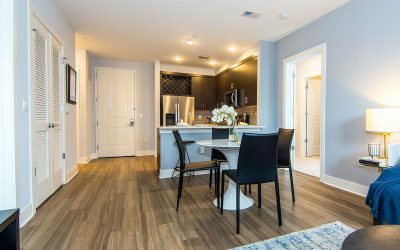 Although materials that look like hardwood flooring have gained in popularity and market share in the flooring industry, New York City Architects and designers continue to ask for real wood. Like a fine wine, the older wood gets, the more character and personality it takes on. Designers are always trying to find new innovative ways to ascertain a certain color or look. It is the mission of the flooring company to deliver on the vision created by the designer. As the designers set the trends, the look, feel and style of the wood becomes critical to the overall look of the space. The attention to detail is set into motion at the beginning of a project and followed through installation, and includes controls on stain application and finish coats. New York City seems to be the epicenter for all to copy. High profile buildings with eccentric designers and residents often set the bar which always seems to be raised. Direct Flooring, headquartered in Flemington, NJ has been tracking the trends throughout NYC for over a decade and strives for ways to improve the highest standards in hardwood products, installation methods, and finishing styles. Classic Herringbone and French Chevron always seem to make a comeback in high end luxury condos. Wider planks continue to be the standard in luxury residential developments. Gray and white hardwood flooring with matte and satin finishes remain popular. The lighter floors with low luster sheen do not show dust particles or scratches. Darker rich stains are also popular in areas throughout the City. Hand-scraped and wire-brush finishes are sometimes required to create a certain look a designer is trying to achieve. Wood applied to wall or ceilings often with metal details are used in common spaces and lobby areas. Photo technology can mimic wood or stone for any surface requiring a resilient tile – the sky’s the limit! And in many luxury lifestyle buildings throughout the New York Metro area, we often see designers integrating the flooring throughout the entire building, which includes common spaces, fitness areas, children’s playrooms, and community rooms. Direct Flooring has the expertise and experience to guide your design team in selecting the best flooring for your application. Our reputation has been built by providing our clients with superior service. For more information about our facilities in Flemington and our Direct Flooring team click here. Direct Flooring is located in Flemington, NJ and services the tri state area including NJ, NY and Eastern PA. For more information about quality flooring products call (908) 237-1009.